It can get pretty stuffy indoors during the winter months. If you burn wood in your fireplace, do a lot of cooking or have a problem with dry stale air, spraying an air freshener is not the solution. Unpleasant odors can be caused by a myriad of triggers and get trapped inside for the winter season. First, find out what those triggers are and eliminate the cause of the problem. Keep areas that harbor unpleasant odors cleaned regularly. The kitchen, bathroom, basement, closet, bedroom and laundry rooms are typical areas in your house that harbor some very unpleasant areas. Keep the refrigerator, stove, burners, microwave, oven and garbage cans cleaned regularly. 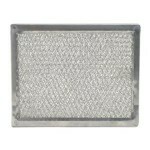 Dirty microwave filters can create more stress and strain on your microwave and range stove vent fan. A charcoal microwave range hood filter and vent is designed to absorb unpleasant odors and keeps them from recirculating in the air of your home. Vacuum Cleaner Bags should be changed regularly. Certain styles of vacuum cleaner bags will capture approximately 94% of particles such as dust mite debris, pollen, pet dander and other airborne pollutants. Typically, you should replace your vacuum cleaner bags every 1 to 2 months depending on usage to control pollutants that could create odor, allergies and carpet soiling. Change your Air Furnace Filters frequently. We cannot stress enough how important it is to perform this task on a regular basis. Depending on the type of air filter you use (MERV 8, MERV 11, MERV 13 or HEPA filters), airborne pollutants that could cause asthmatic attacks, allergies and other lung-related illnesses are trapped in the media of the filter. Clean air filters along with proper maintenance of your furnace will help your unit perform optimally. Room Vent Filter Kits such as BestAir Kitchen and Bath or BestAir Family and Bedroom Vent Filter Kit are cut-to-fit filters that are easy to install. They are designed to reduce airborne pollutants like pet dander, dirt, dust, hair, pollen and other allergens. 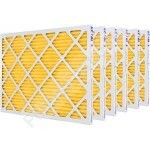 This filter will provide cleaner and fresher air in your room. 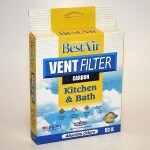 This filter can be used in bathrooms, bedrooms, family rooms and RV/Motor homes. One word of caution is to avoid using this filter in every vent in your home. It could restrict airflow and cause damage to your air furnace unit. 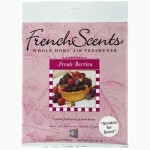 Fresh Scents Air Fresheners: This French Scents whole house air freshener is a fragrance gel pad that provides fragrant air within your home in one easy step by instantly attaching to any air filter, air conditioner filter, furnace filter, provide scented air throughout your entire home, business, or other indoor area. It comes in a variety of aromatic fragrances: Fresh Flowers, Mountain Breeze, Fresh Berries, Marine Scent, Cinnamon, Gardenia, French Vanilla, Tropical Bay, Pine Woods and Country Cotton freshener. Products containing activated charcoal� are great for reducing musty and unpleasant odors that linger in the indoor air of your home. 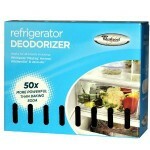 For unpleasant odors that gravitate to your refrigerator and freezer try the� Whirlpool Refrigerator Deodorizer or the� Whirlpool Freezer Deodorizer. Both contain highly absorbent activated charcoal that can be 50 times more effective than baking soda. Use Vinegar: Wipe down refrigerator shelves, trashcans and run an empty cycle in your washing machine with a cup of vinegar to help clean and disinfect the washtub every month. This will help to alleviate that rotten egg smell. Vinegar will also help to sanitize and deep clean your cutting boards. Use Lemons: A mixture of lemon juice, water and baking soda is good for cleaning the interior of your microwave. If your garbage disposal or sink smells foul, throw half a lemon down it. Share any odor-reducing tips you may have with us that will help to winterize your home with indoor freshness! The precise blog if you have wants to learn about this subject. You comprehend considerably its nearly onerous to argue to you (not that I personally would need HaHa). You undoubtedly put a new spin for a subject thats been discussing for some time. Nice stuff! 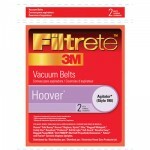 I use filtrete filters in the ac/heating units but I have a lot of dust.What can you recommend to solve this problem.I have tried putting filters in the returns as well as the units and I can’t tell a lot of difference the home is about 4 1/2 years old.Anything you suggest will be great.